Now this is what we're talking about! 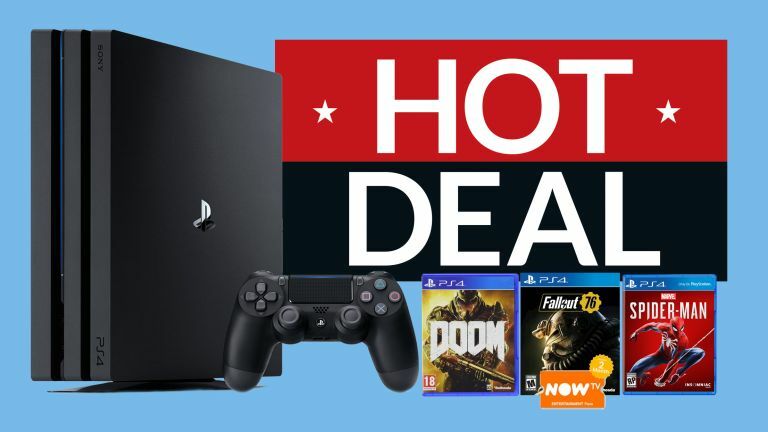 GAME gets stuck right into the Black Friday sales spirit by delivering a very tasty bundle deal that not only includes Sony's flagship PS4 Pro console, but also a selection of stunning games as well. Alongside the pixel-pushing powerhouse console you get the brand new open-world RPG Fallout 76, incredibly fun action adventure Spider-Man, and the adrenaline-inducing FPS Doom. Oh, and you also get a 2-month NowTV Entertainment Pass thrown in, too. If you like what you see and fancy even more top titles to play on the PS4 Pro, then you should also check out T3's awesome best PS4 games guide, which includes every single PS4 title that is worthy of your attention. Lastly, we've also got plenty more deals and bundles over on T3's dedicated best PS4 Pro deals roundup, so be sure to scope that out as well if you're in the market for a different bundle or standalone system.